If the idea of sleeping on the ground keeps you awake, then look at the Burke & Wills Sturt Deluxe Stretch. 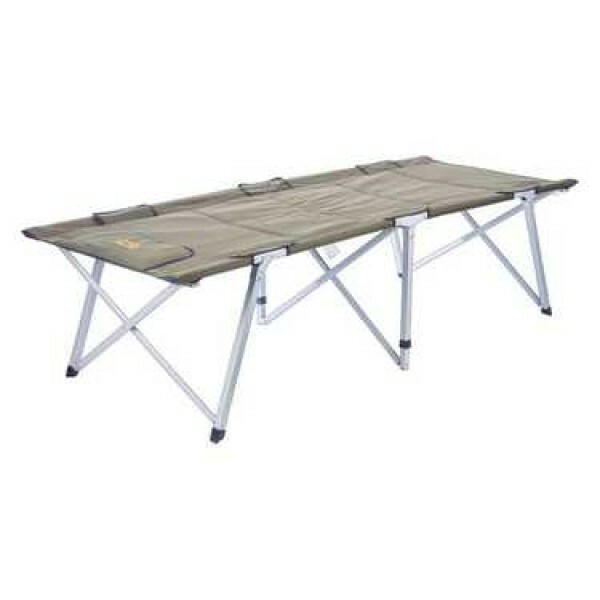 Keeping you off the ground, this stretcher can be used with just a sleeping bag, a foam mattress, or even an inflatable mattress on top, depending on the level of comfort you are after. Constructed from high density 19mm powder coated steel this stretcher is made for the outdoors! Comes with a heavy duty 600D PVC polyester carry bag.